Palliative Manitoba is looking for volunteers to knit "warm memories" scarves for 200 children and teens who have lost a significant person in their lives. Palliative Manitoba is looking for knitters who want to give grieving children and youth a little warmth. Volunteers with the charity are knitting "warm memories" scarves for 200 children and teens who have lost a significant person in their lives. 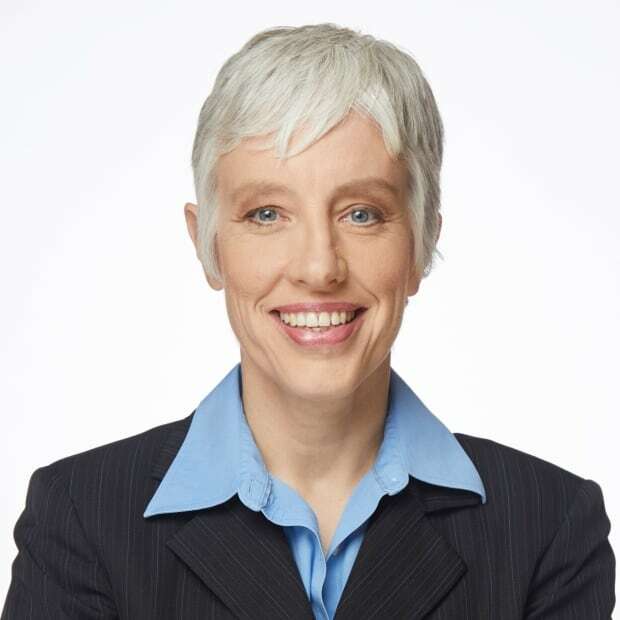 "They're meant to be hugs for children who are grieving," said Jennifer Gurke, executive director of the charity dedicated to improving the lives of people who are nearing death and supporting those who surround them. 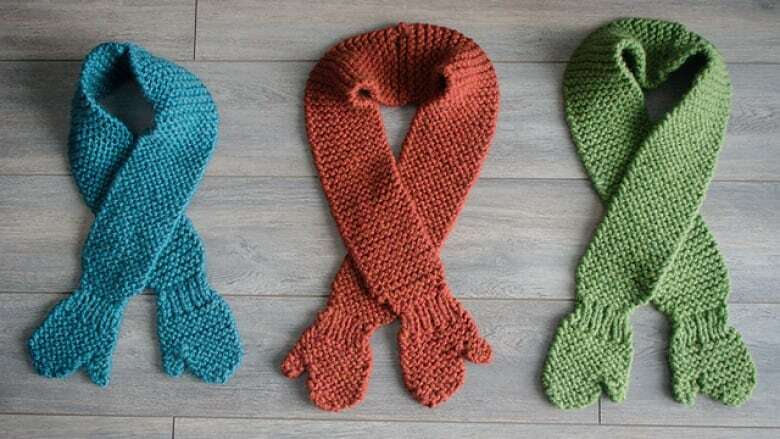 The metre-long scarves, which end in mitten shapes — like hands at the ends of arms — are given to kids who participate in Kids Grieve and Teens Grieve, two six-week programs offered by the organization. The programs are art-based and help kids communicate, Gurke said. "We teach children that they can use real and honest language when expressing their grief, that they don't need to keep that inside." Palliative Manitoba also would like to have scarves for the kids who attend Camp Stepping Stones and Camp Bridges, which are grief camps for those who have lost someone. The scarves, which were an idea of the online resource Canadian Virtual Hospice, let the kids know they're not alone. "This is also a tangible way to let children know that they're being thought of in this really difficult time that they're having." "We are accepting scarves starting now. Our goal is 200 by the beginning of May," Gurke said. 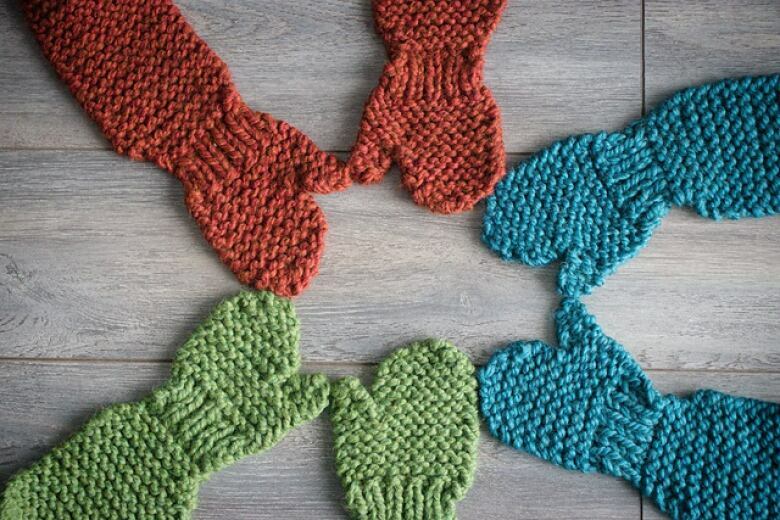 "The knitters that I've talked to so far really are putting all the love that they can into these scarves to be able to give to children who are grieving." Palliative Manitoba is also looking for volunteers for their telephone bereavement program, which offers one-on-one support to people who are grieving. A 10-week compassionate care course trains volunteers how to do the job; last year the program supported 70 people. "Telephone support allows individuals to be companioned or supported in the comfort of their own home. They get to maintain their anonymity and their dignity as well," Gurke said. The pattern for the scarves and more information about Palliative Manitoba can be found at palliativemanitoba.ca.